Recently the first lady of Nigeria and wife of Mohammadu Buhari Aisha Buhari came out with an exposed that shocked many but which was simply a confirmation of Daily watch expose several months back. Daily watch investigations in the seat of Power in the Villa confirmed that the two men stated by the Wife of the President were simply Mamman Duara, the senior Cousin of President Mohammadu Buhari who seats as the head of the notorious Cabal in Nigeria and his second in Command and assistant Abba Kyari, the Chief of Staff to the President and deputy Chairman of the Cabal in charge of Nigerian Government. Daily watch investigations in the seat of Power confirms that what the President wife said about the duo as regards control of the administration of Mohammadu administration is far above what she said as both men are virtually in charge of almost all the appointments made by Mohammadu Buhari and even most times over ride the orders ,memo or decisions of the President in several issues. Daily Watch Sources has it that it was this same cabal that inflated the cost of the Tacoma Military Jet Nigeria is Purchasing from the UNITED states by additional 20 million dollars on each. Also confirmed is the Several NNPC Contracts which spark confusion in the country and also resulted in the sack of the whistle blower who is also the Minister for State for Petroleum Ibe Ikachikwu. Daily watch findings ha it that most of the looters in this administration are those specifically handpicked and appointed by Mamman Duara and Abba Kyari like the NEMA DG, NHIS boss, the present Registrar of the National Judicial Council who was standing trial for looting over 2 billion of the Supreme Court when he was the registrar and the case stopped by the Chief of Staff and the thief elevated to the NJC as the new registrar etc. Daily Watch findings have it that most of the men in the Buhari government, kowtow and crawled before these two men to get several favours to their kitty. According to Sources in the Villa, men like Bola Tinubu, Adams Oshiomole (whose job was saved by the cabal and bribe taking issue killed) Rotimi Amaechi are said to constant night Visitors to the duo in the Villa for strategic instructions rather than to the President as the duo are said to be the real rulers of the Country with President Buhari just been the symbol of authority but has no powers to act of decide anything. 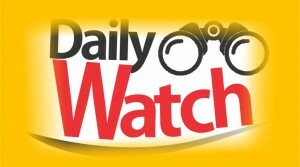 Daily Watch findings has it that whatever decisions emanating from the duo are sent in by the Chief of Staff who normally claims are from the Presidency but in truth simply from Mamman Duara and himself with Buhari keeping mute and to the knowledge of the President wife and Children who are said to be extremely angry over the total takeover of the Buhari government by the duo and their many agents and looting the country without a whimper from President Mohammau Buhari. Daily Watch attempts to get through to the so called Mamman Duara (Nigeria De-factor President) who seats in the villa like the President and over sees all affairs of the APC government was not possible as he is said to be highly averse to anything media or publicity.